“Horses and Courts,” an international symposium, focused scholarly attention on the striking use of the horse at monarchical courts for public display and private power brokering, primarily from the fifteenth to nineteenth century. Conference organizers Donna Landry (University of Kent’s Centre for Studies in the Long Eighteenth Century) and Philip Mansel (Society for Court Studies) brought together an intersection of presenters and attendees from the EU, UK, and US, hosted by The Wallace Collection, for a series of more than 30 complementary presentations over the three-day congress. Tobias Capwell, (Curator of Arms and Amor, The Wallace Collection) set the stage in his presentation by emphasizing the essential crossover between artistry and practicality in courtly equine pursuits. The rarity of extant saddles, for example, owes to their use and re-use. While armor transformed the man and horse, even into fantastical creatures for theatrical mounting the horse exposed the rider to risk rather than merely the pretense of it. Several presentations demonstrated the practical use of horses in negotiations over exile, inheritance, and diplomatic encounters. These power plays had multi-faceted extensions in the rich display of carousels, venery or hunting, pas d’armes, royal entrances, and racing. The eminent visibility of participating in these events also found its historical counterweight in a panel on the female rider or ‘Amazon.’ Despite the long-term shift in values from “haut école” to English horsemanship noted by several presentations, the arranged tours of the Royal Mews and Household Cavalry demonstrated the continued relevance of horses and court politics. A strong representation of English, French and Spanish courts did not preclude the presentation of equal emphasis on horses in the courts of Denmark, Sweden, and the Habsburg territories further east, and the shared riding masters and stud horses demonstrated the interconnectedness of the same courts. Presentations also included Algeria, South Africa, and India, and this global reach raises the possibility of “Horse and Empire” as a fruitful theme for a subsequent symposium. Plans are underway for equine congresses in Vienna and Chantilly, as well as the EHC Conference in California at the end of this year. Review livetweets by @NicoleMennell, and the #HorsePower2018 on twitter. Nicole Mennell is a CHASE-funded doctoral candidate within the Centre for Early Modern and Medieval Studies at the University of Sussex. Her thesis, ‘Shakespeare’s Sovereign Beasts: Political Discourse and Human-Animal Relations in Early Modern Drama’, explores the connections made between figures of sovereignty and animals in early modern drama. Nicole’s chapter, ‘“The Dignity of Mankind”: Edward Tyson’s Anatomie of a Pygmy and the Ape-Man Boundary’ was recently published in the edited collection Seeing Animals After Derrida (2018). 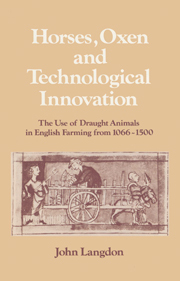 She also has a forthcoming chapter on Shakespeare’s lions in The Routledge Handbook of Shakespeare and Animals.